Paragliding, BASE jumping, Skydiving, wingsuit flying, and travel. 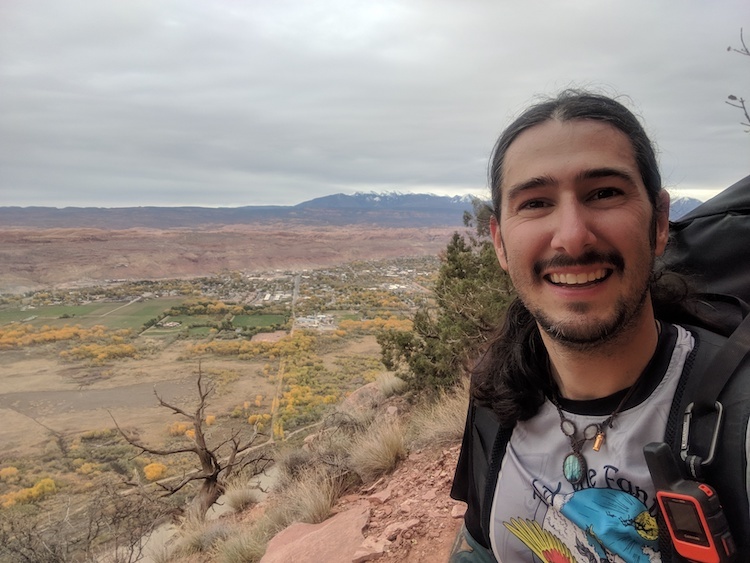 I'm a digital nomad based in Moab, Utah. I travel in a solar powered Sprinter van. Yup! You read that right! 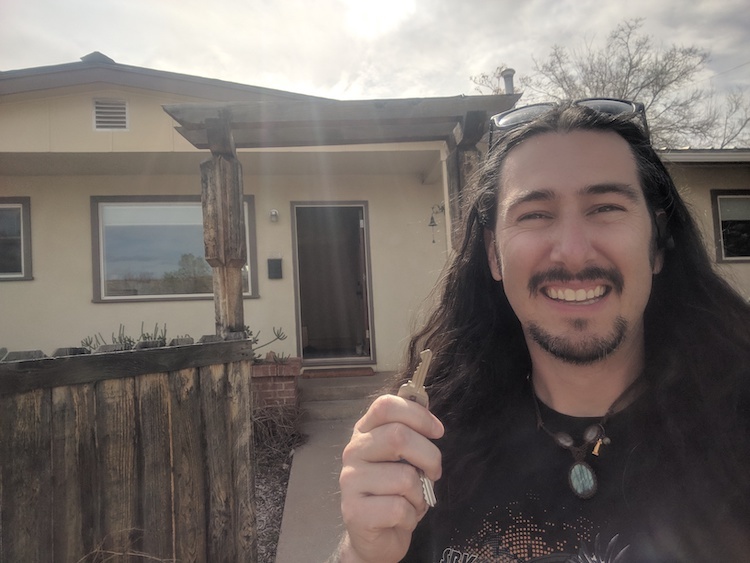 My new house is a 3 bedroom, 2 bath, single story home with an attached workshop and a kickass back yard! I’m currently busy purchasing the essentials and making it livable. I don’t own much so I’m thrifting a ton and only purchasing things as I need them. My answer was almost always the same, “Till I feel like changing my lifestyle.” Well, I felt like it! Signing my life away. I guess I don’t really own the home yet, the bank owns it. Honestly, after 5 years of 100% nomadism, I was starting to feel more and more “logistical stress.” What I mean is that I’d constantly be looking for somewhere to park and sleep. Always looking for a shower, laundry, water source to fill my tanks or a place that will let me dump my holding tanks for less than ten bucks. I’m also tired of carrying around every piece of sporting equipment I own. It seems like I could be more comfortable in the van for a month or two (or three!) at a time with specific gear. There’s no reason to have my skis and winter gear on a summer trip. Parked outside of a great free hot spring in Utah, I clearly do not need to have a paramotor on the back of my van this time of year. It’s no mystery that I love Utah. If you look at my social media accounts you’ll see me paragliding, skiing, BASE jumping, and going to hot springs all around Utah. Portal Trail outside Moab, UT. We hiked up with paragliders and flew off! 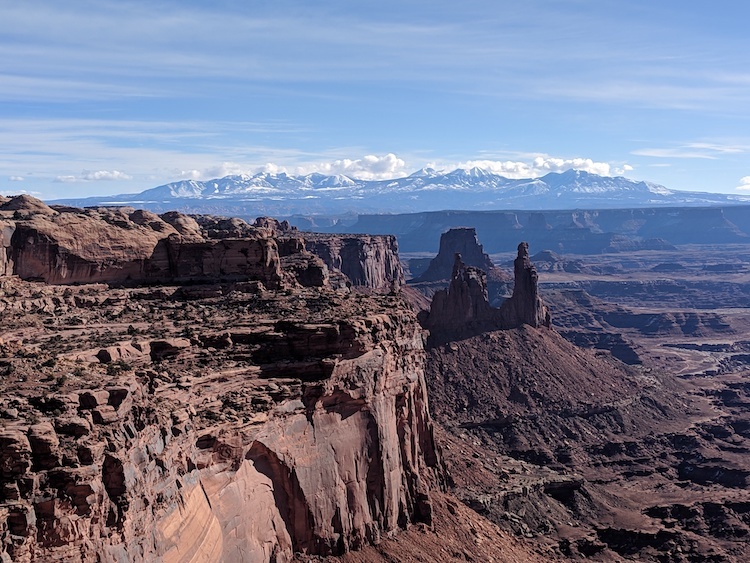 The La Sal Mountain range as seen from Canyonlands National Park. 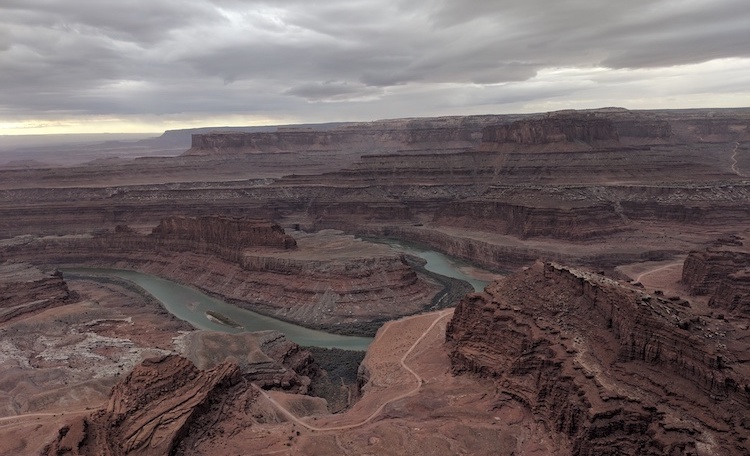 I realized in November 2018 that I had spent almost 4 months in and around Moab, Utah in that calendar year. So it only made sense to start looking for a place to call my own in Moab. I love this place. There’s something very raw and spiritual about the canyons and wilderness here. So you’re not a “digital nomad” anymore? Well, I’m still 100% remote… there’s not an office I go into every day like most people. 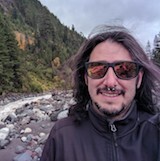 I can choose to work from my home office, the library, a coffee shop in Peru, or a hostel in Switzerland. I’m excited to have a hub. A place that’s my own to go back, recharge, relax, and swap gear for the next adventure. So less stuff in the van? For sure! I’m hoping to use the van in more targeted trips with short breaks in between. This will relieve a lot of the stresses of #vanlife and I’ll always have a place of my own to do repairs, oil changes, refill/dump tanks, etc. The house will be a place to regroup and and scheme new adventures! The van is turning from my full time home to my part time home and adventure vehicle. I won’t be buying another vehicle because the core of Moab is so small, I can ride my bike from one side of the valley to the other in less than 20 minutes. Everything is in biking distance! I’ll be riding my new mountain bike everywhere. It’s only been a week and I can already tell i’m getting in better shape because of the bike! Hiking around Moab seems like you’re on another planet sometimes. 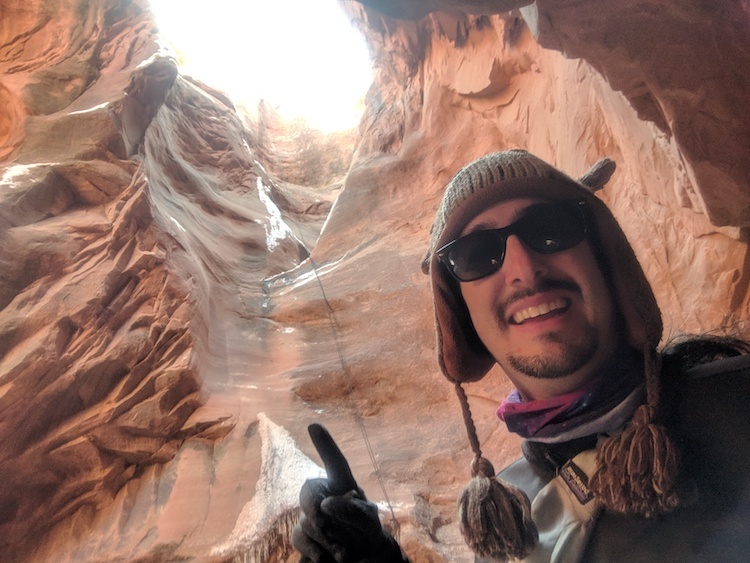 We rappelled into this canyon. If you’re asking that question you’ve clearly never been to Utah. This place is amazing and I’ve been saying Utah is my favorite state for many years now! Everything I want to do is here or close by. Paragliding, hiking, BASE jumping, skydiving, canyoneering, mountain biking, climbing, rafting, off-roading, dirt biking! Utah has it all. And world-class skiing is just a few hours away from Moab as well. 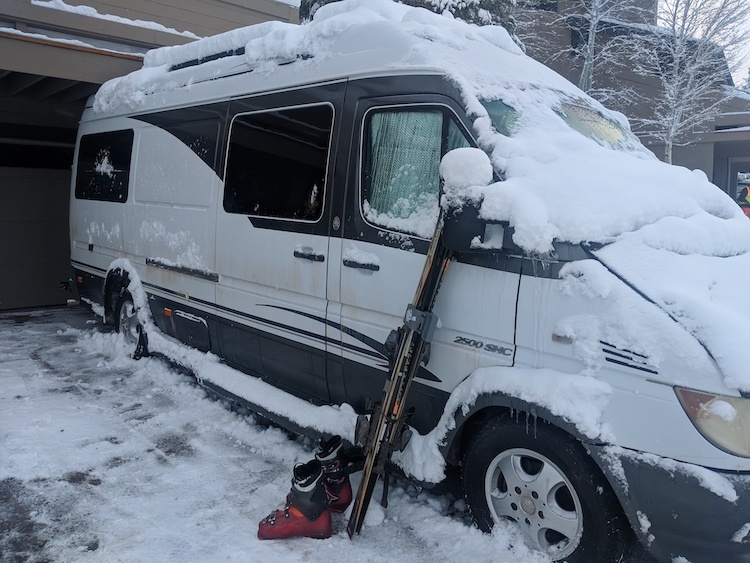 Parked at a friend’s house near Park City, Utah, I skied over 25 days this season! I’ve got big summer plans that don’t include me being in Moab! It can get over 100 degrees fahrenheit in the heat of summer and I won’t want to be here for that! Plans include paragliding in California and Oregon, then some work in the Portland area. 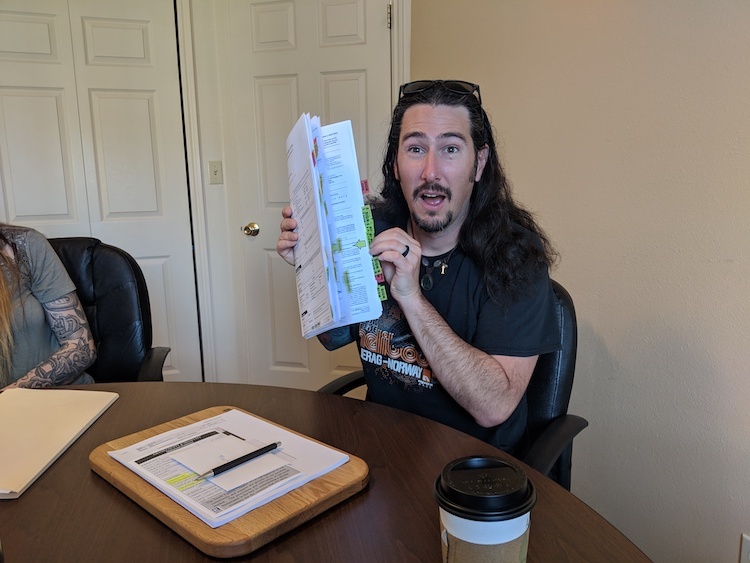 I’ll fly from Portland to Europe for a month of BASE jumping and then slowly make my way back to moab by late August to prep for Burning Man. © 2019 Off The Grid Apps, LLC..